Data Sheets are short documents that provide the most up-to-date demographic information about the Puerto Rican population in the United States. 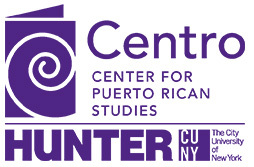 Data provided by the U.S. Census Bureau is summarized through a series of charts, tables and maps to illustrate major points and changes within the Puerto Rican population. These data sheets are recurrent projects that are released by our Data Center in response to the release of data by the U.S. Census Bureau. Data sheets provide a brief narrative synopsis of conditions for Puerto Ricans in selected geographies throughout the United States (e.g., states, counties) relative to the general population of those jurisdictions based on the latest available data from the US Census Bureau. Some of the subject areas of these brief descriptive analysis of socioeconomic conditions for Puerto Ricans in these geographies are: income levels, poverty rates, employment status, educational attainment and housing tenure. These content areas include data for Puerto Ricans and other ethnic and racial groups in those jurisdictions.